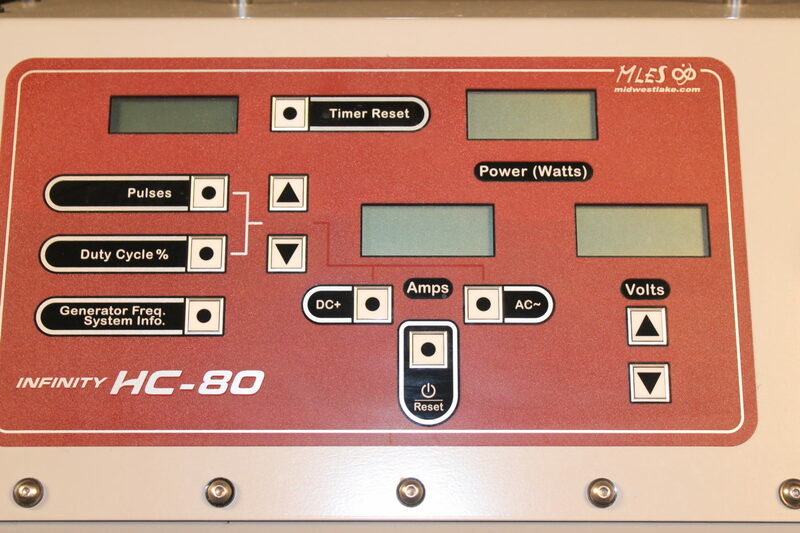 The MLES HC-80 has been engineered to meet the boat-mounted electrofishing needs of most freshwater environments. 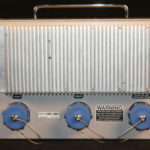 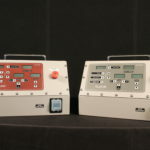 It is designed to be used with any commercially available 60 Hz, 240 volt AC generator that has an isolated case neutral. 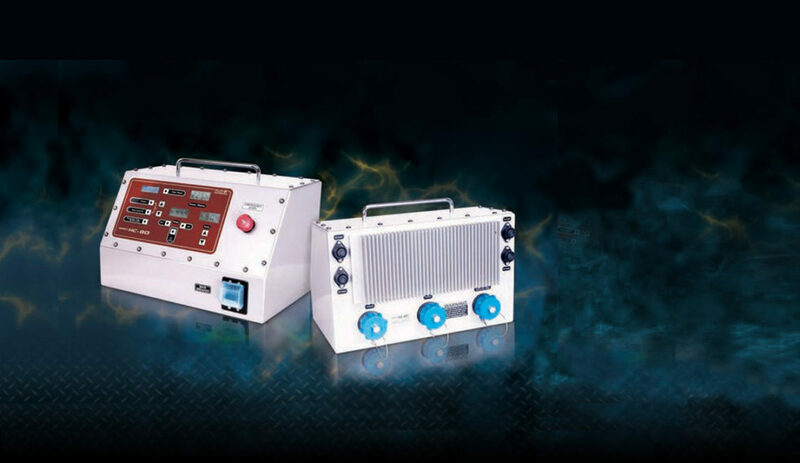 The size of the generator can range from 3,000 to 9,000 watts depending on the power requirements needed by the end user for effective sampling. 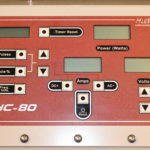 The HC-80 should never be connected directly to 240 VAC available from your facility’s breaker panel. 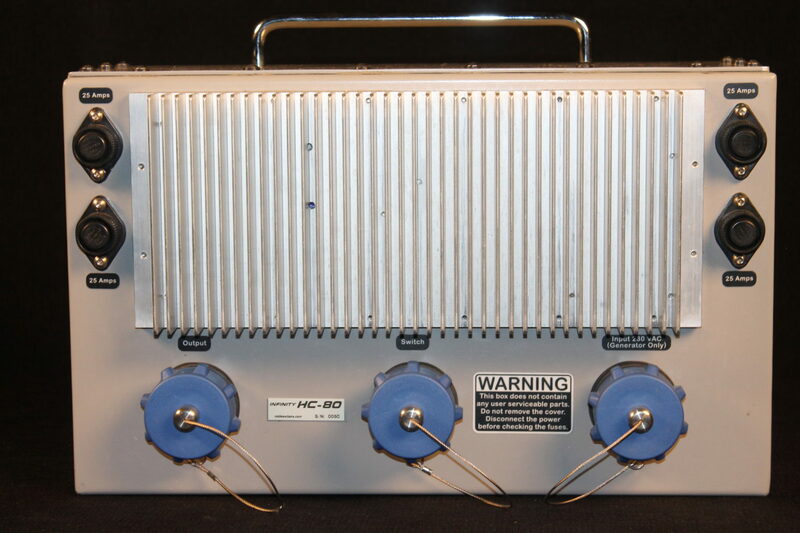 Generally, the impedance is too low and the resulting current surges will damage the electrofishing unit. 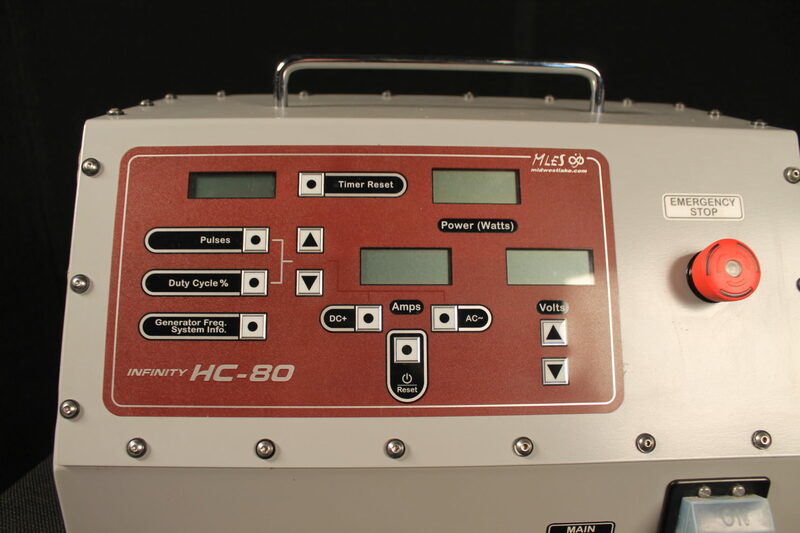 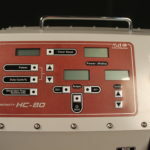 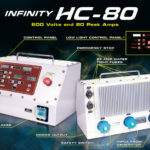 The HC-80 uses the latest electronic hardware and software and features Intelli-Shock© technology to allow for the simplest and safest operation. 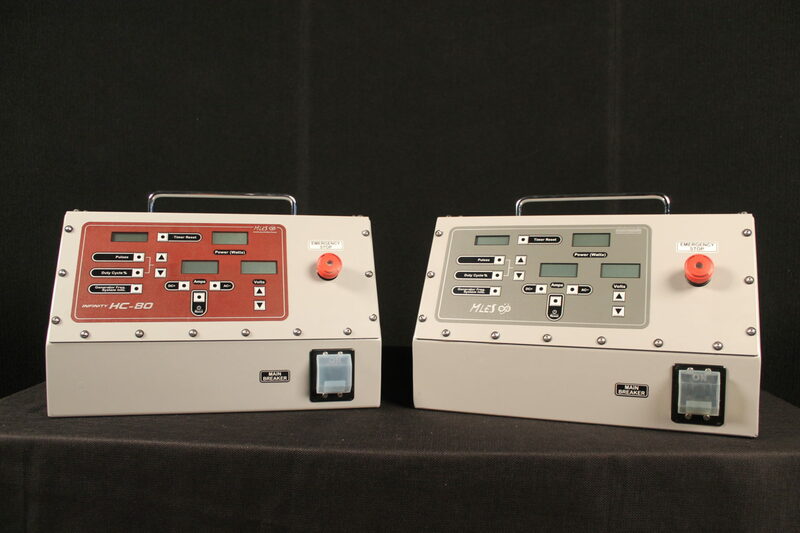 This modern technology includes many safeguards to ensure longevity of the box, advanced overload protection, and automatic voltage range shifting capabilities. 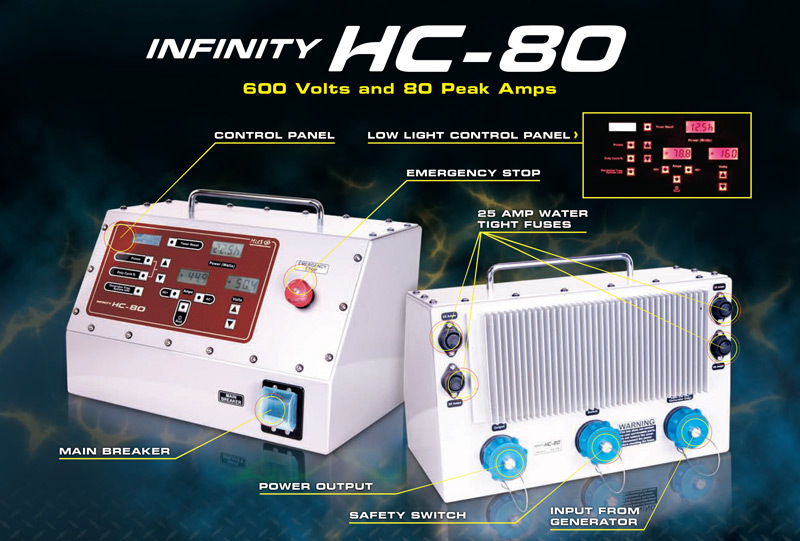 The HC-80 is also comprised of many water resistant components and splash resistant features to maintain operation in harsh conditions.